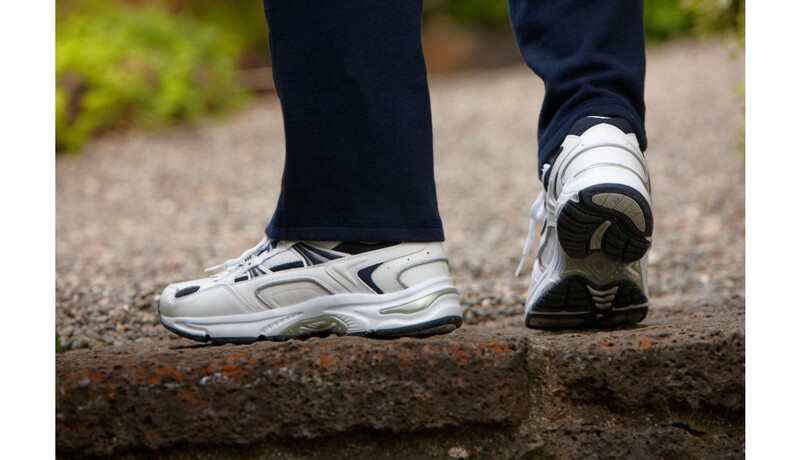 Vionic Men's Walker Classic Tennis Shoe is designed to keep you moving with maximum comfort and support all day long. Featuring Vionic's Active Motion System (AMS) Technology in a classic walking footwear for more edge. Step into support for work, play and everyday by Vionic's active footwear features Active Motion System (AMS) technology, combining our podiatrist-designed orthotic with a flexible, cushioned outsole and a lightweight, breathable upper. water-resistant leather uppers, premium, full-grain and action lacing system. Reducing friction against skin a breathable, moisture-wicking 100% polyester mesh liner with PU foam base. Podiatrist-developed biomechanical removable orthotic features an anti-bacterial top cloth to control foot odor. Dr. Andrew Weil recommended. For smooth transition in heel-to-toe strike zone a molded EVA midsole with built-in .5" elevation. Thermoplastic, firm heel counter for more stability and support. Improving traction durable rubber outsole. We recommend wearing your new Orthaheel footwear or orthotics for just a few hours for the first few days to allow your feet to adjust to the new level of orthotic comfort and support for the greatest comfort. Wipe away dirt and dust with a dry cotton cloth to clean.